​The NHL Trade Deadline is less than a week away and rumors are swirling around a handful of star players. Phones are ringing off the hook as each team looks for the final piece that'll get them the ever-elusive Stanley Cup. The Boston Bruins ​are reportedly all in on Mark Stone given the opportunity. If the Ottawa Senators choose to deal away their star winger, the Bruins will undoubtedly be the favorite to land him. The Bruins have been ​heavily connected to multiple top-six wingers but Stone would be the top fit they're looking for. They'd have to free up some cap space but it's entirely possible that the Bruins send a package similar to Sean Kuraly, Trent Frederic, a 2019 first-round pick and another conditional pick for the talented winger. ​​The addition of Stone would give the Bruins the exact firepower they need in order to compete with the Tampa Bay Lightning. 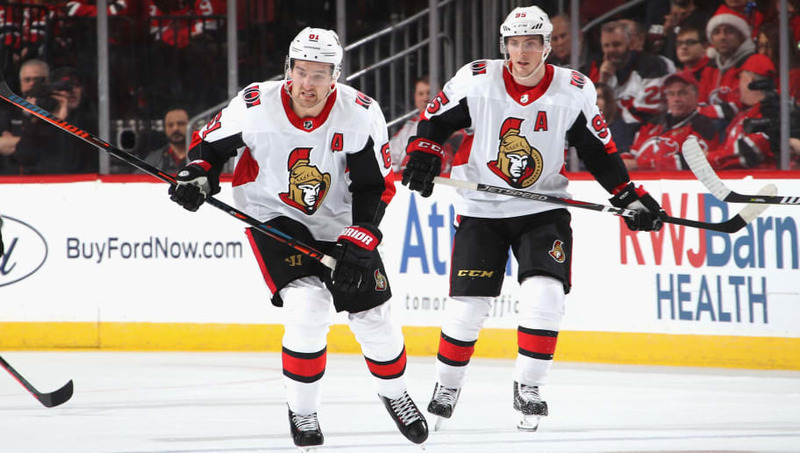 The Senators are demanding a top-tier prospect​ as part of the package for Matt Duchene. The Predators have just that in Eeli Tolvanen, who's failed to meet expectations thus far in his young career. The Predators need the center help and a combination of a 2019 first-round pick, Tolvanen, and perhaps Frederick Gaudreau would be enough to meet the ​Sens' lofty price. The New York Islanders have shocked the NHL with their incredible 2018-19 season. They've proved that John Tavares wasn't the pillar of their roster and they can function just fine thanks to impeccable coaching from Barry Trotz. The Isles' have all the assets in the world to trade for Panarin and then re-sign him long term in the offseason. They currently have over $10 million in cap space but have a plethora of players to re-sign in the offseason. A package of Anthony Beauvillier, Joshua Ho-Sang, a 2019 first-round pick and a conditional pick depending on if he signs with the Islanders would be more than enough for the superstar winger. The Knights have been struggling mightily recently but still maintain a solid spot as the third-place team in the Pacific Division. General manager George McPhee has shown his unwavering willingness to make upgrades at the deadline and a locker room presence such as Simmonds would be a great pick up. ​They have plenty of draft picks including three third rounders in 2019 and another three second rounders in 2020. The New York Rangers will undoubtedly wait to see what the market looks like following a Duchene trade. Any team that strike​s out on Duchene would come knocking on the Rangers door for Kevin Hayes. The Jets are one of those teams, especially if they fail to land either Stone or Duchene. Hayes is an impeccable two-way center that'd be a massive addition for the grueling playoffs. The Calgary Flames are yet another team that will undoubtedly be in the hunt for Stone if he's made available. If they strike out on Stone and find the price for Panarin to be too high, expect them to turn to Zuccarello as they've already been heavily connected to the aging winger. The 31-year-old started the season slow, but has picked it up in recent weeks, scoring 22 points in his last 15 games. He'll likely cost a second-round pick and mid-tier prospect, which is fairly affordable for a player who can drive the play both defensively and offensively.